On our return from Baltimore last August, we decided to detour to Detroit, MI for the night, neither of us having ever visited. Despite the city’s reputation of abandonment, we found the food and bar scene to be vibrant, especially in the downtown area. Do: Tour the historic Ford Piquette Avenue Plant, where the Model T was invented. Note: allow ample time for your visit. The eager tour guides have a lot of knowledge to share! See: Ford F-150 truck assembly line on the Ford Rouge Factory Tour in Dearborn. A great contrast from the stationary assembly of the Piquette Plant. Drink: Grand Trunk Pub – large selection of local craft beers in a historical setting, originally the Grand Trunk Railroad’s ticket station. Drink: The Sugar House – expansive craft cocktail menu in an intimate setting. Perfect for a night cap. 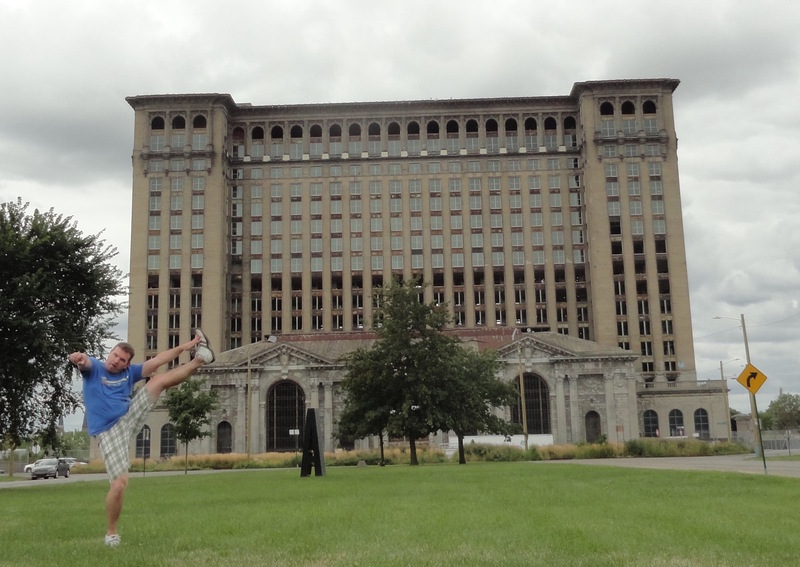 This entry was posted in High Kick Photos and tagged Antietam Detroit, Detroit, Ford Piquette, Ford Rouge, Grand Trunk Pub, High Kick, Mudgies deli, Sugar House. Bookmark the permalink.